Sometimes, the best ideas come about by accident — quite literally. In 1937, after a tornado wiped out their farm in North Dakota, Rudy Ruana and his young family headed westward in search of work. 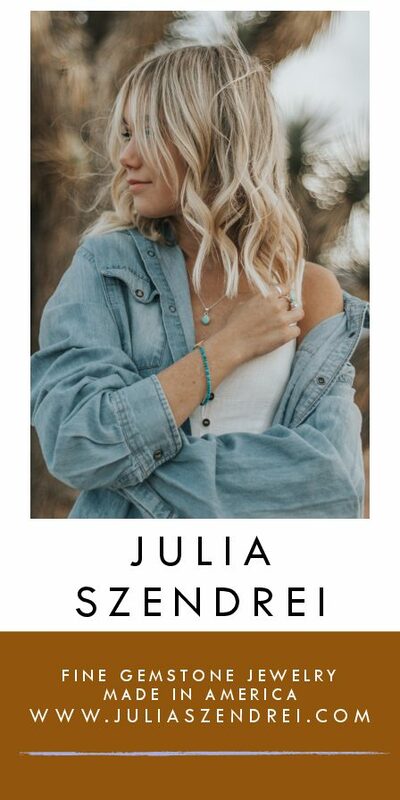 With sights set on Seattle, they made it about halfway; their trailer broke down on the bridge in Bonner, Montana, a small town perched above the confluence of the Blackfoot and Clark Fork rivers. “It was raining and cold, and they had their 2-month-old daughter with them,” says Vic Hangas, recalling family lore about the man who would eventually become his father-in-law, and the baby who would one day grow up to be his wife. “Right over there,” he says, gesturing toward the river and the old bridge. 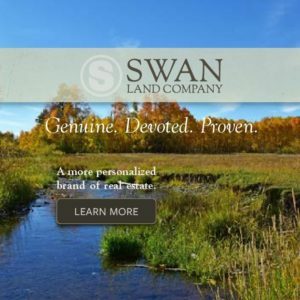 A good Samaritan drove by on a motorcycle, noticed their plight, and ushered them toward their night’s lodgings: a huge horse barn in town, owned by the Anaconda Copper Mining Company. High-class it wasn’t, but it was warm and dry, and the next morning, Ruana set out to fix the trailer and get back on the road. “He was trained as a welder and a mechanic, so he asked around to find a welder’s shop to use,” Hangas recalls. He found one nearby, fixed his trailer, and was ready to be on his way when the shop owner stopped him and said, “You did pretty good work with that. Do you want a job?” With only $40 to his name, Ruana couldn’t say no. So he stuck around Bonner — and in short order launched a legacy, not in welding or machining, but in knives. Eighty years later, Hangas stands and reminisces in the very same shop where Ruana landed. His work-worn hands are busy with the leather blanks that he’s neatly stitching into sheaths. The adjacent room is full of homebuilt machinery that dates to the mid-1900s, and the air is thick with the smells of oil and metal. Just like his father-in-law, Hangas is a laconic, quiet Finn with an affinity for straight talk and quality work. 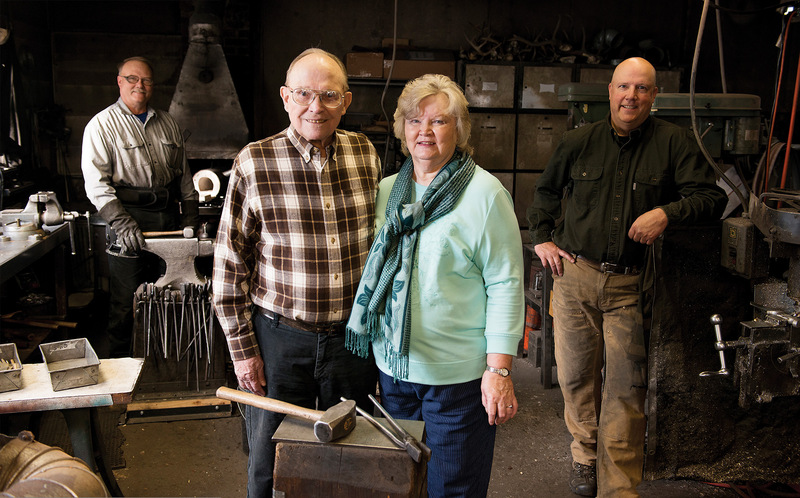 Really, not much has changed since 1938, when Ruana bought the space from the mechanic and turned it into the home base for one of the longest running and most highly regarded knife-making lineages in the country. 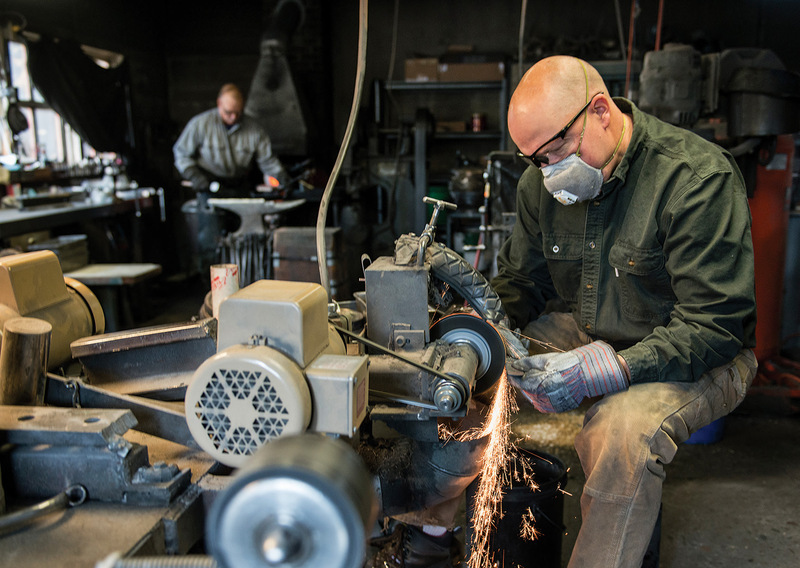 Mark Hangas, one of Vic’s two sons and the third generation of the Ruana line, works at the forge in the original shop building. 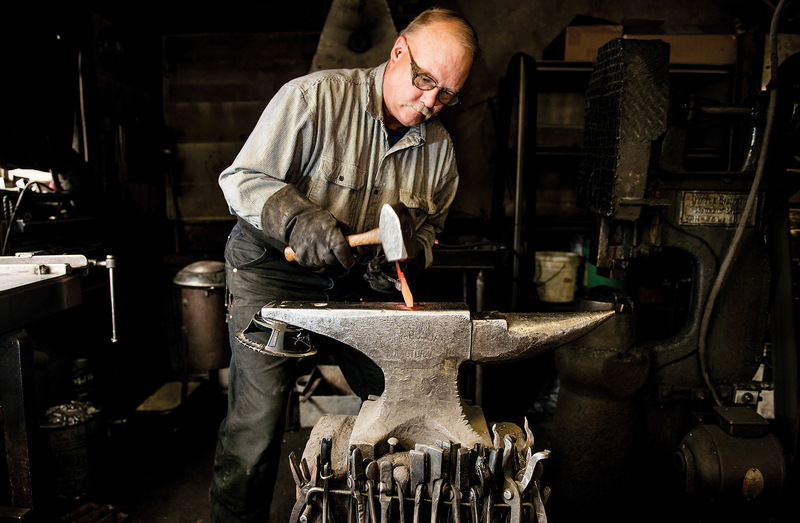 Moving with the ease that comes only from decades of practice, he shapes red-hot blades with the power hammer that Ruana bought from the Missoula Mercantile in 1945. 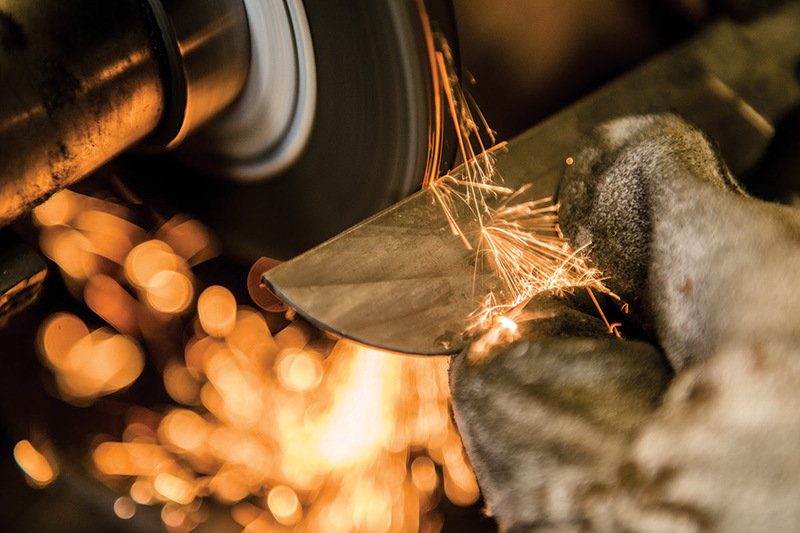 Mike Hangas, Mark’s brother, further shapes the cooled blades on a grinding wheel, throwing sparks. Ruana left home at 13, lied about his age to join the Army at 16, and worked there as a farrier, shoeing horses. Good with his hands, clever with metal, Ruana was perhaps inevitably bound to try making knives. Although he was stationed in Fort Knox, Kentucky, his first customers were in fact members of Montana’s Blackfeet tribe who were there working as horse breakers. When they asked Ruana if he could make knives that were stout and sharp enough to skin a frozen horse in winter, he was happy to oblige. What’s clear, though, is that this focus on the art of the knife — the aesthetics, heft, and feel — is nothing new for the Ruana line. 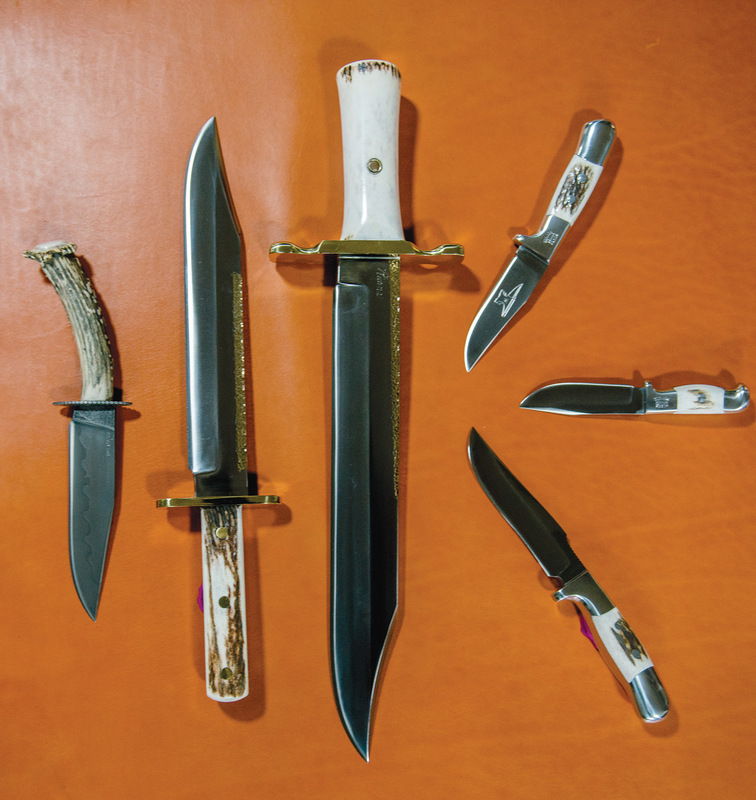 The general shape and design of their knives has not changed since Grandpa Rudy’s time — and neither has their process. They still use the same machines that he built. They’ve stuck with the same kind of steel since 1962. Their blades are still coal-tempered, a rare thing in this day of gas-fired forges. They still make sheaths of high-quality leather, stitched on a circa-1900 sewing machine. Back in the shop, Vic Hangas looks on with a slight smile while Mike demonstrates a cutting machine that Ruana built from scratch out of Model-T parts and pieces he fabricated. “Every time we start it up we hold our breath!” Hangas says. The thing rattles and whirs, is coated in grease and grime, but still runs as smoothly as the day it was made. “That cutter head has probably gone back and forth a millions times,” says Mike. “But it still works. And as we like to say, ‘If it ain’t broke, don’t fix it.’” The same could be said, it seems, about an 80-year-old legacy of craftsmanship, quality, and family tradition. This custom knife features a unique, clay-hardened blade. Mike Hangas, right, grinds the profile shape of a knife while his brother, Mark, prepares the forge. Mark Hangas forges the edge of a knife blade with a hammer and anvil. Mark has been making knives since 1976 when he joined his father and grandfather. 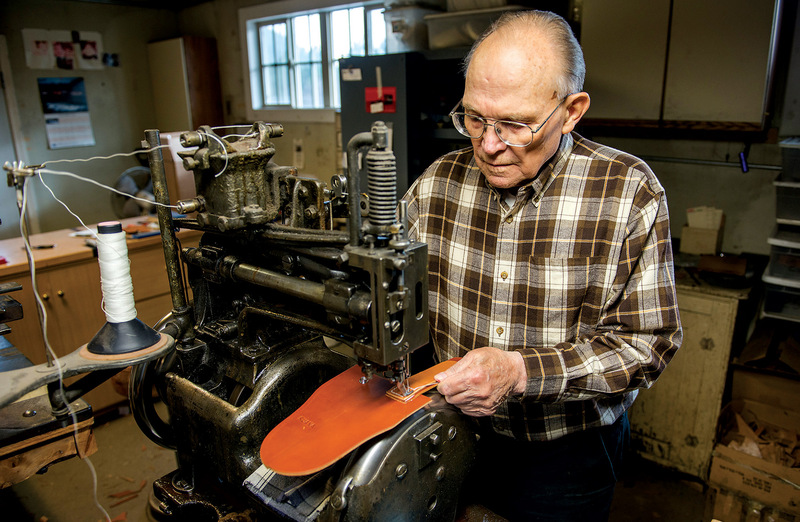 Vic Hangas sews a knife sheath with the 1910 Landis sewing machine that his father-in-law, Rudy Ruana, bought when he started making the sheaths himself. Vic and Ilona Hangas and their two sons, Mark Hangas, right, and Mike Hangas, left, still run Ruana Knives, creating handcrafted knives in the same small shop where Rudy Ruana started the business. They continue to use many of the same methods and tools originally used by Ruana. 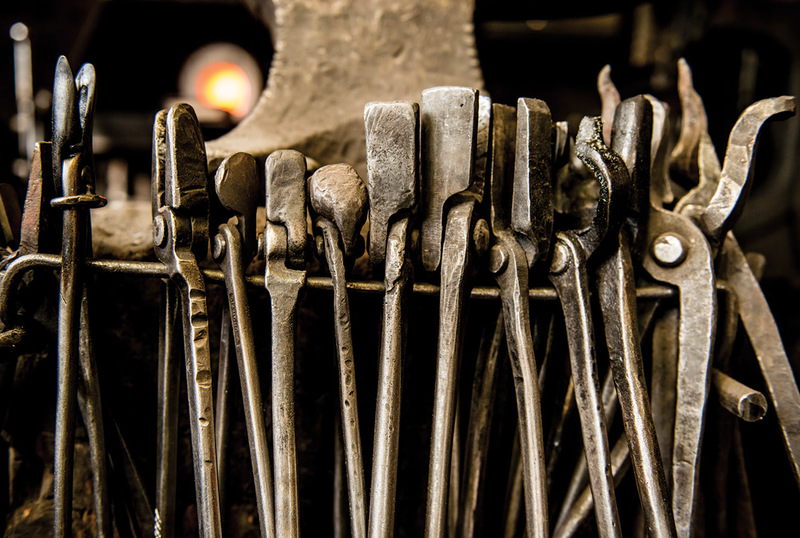 Many of the tools used in the shop, including these tongs, are the same implements used by Rudy Ruana. 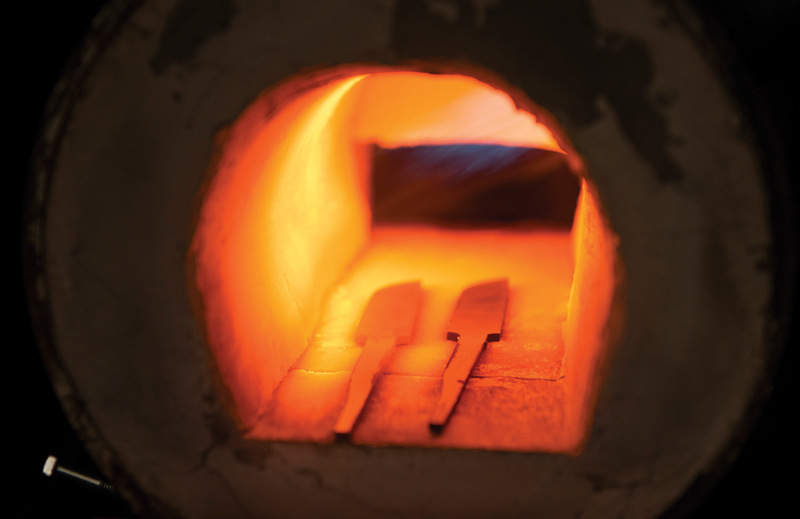 Two blades heat up in the forge at Ruana Knives in Bonner, Montana. 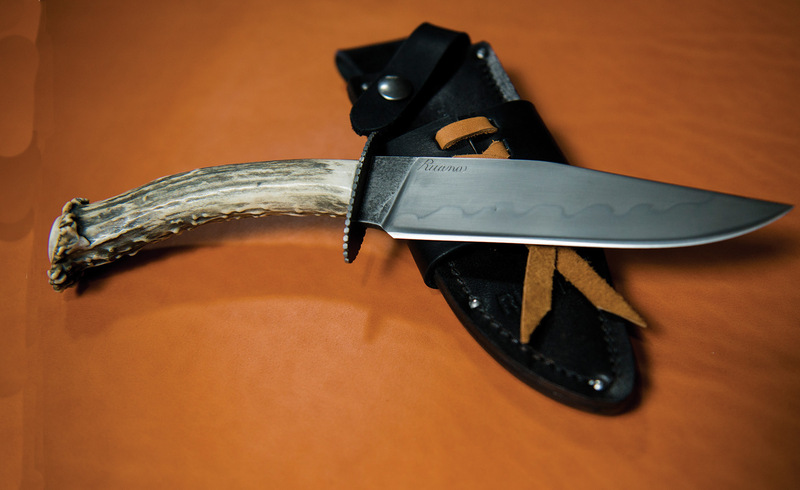 A collection of custom, collectible, and catalog knives from Ruana Knives. From left: A custom knife with a clay-hardened blade, an Early American Bowie, a Classic Bowie, a VN Hangas Special, a Smokejumper, and the Custom Finn.